Lynn, Ma. 4-9-18. 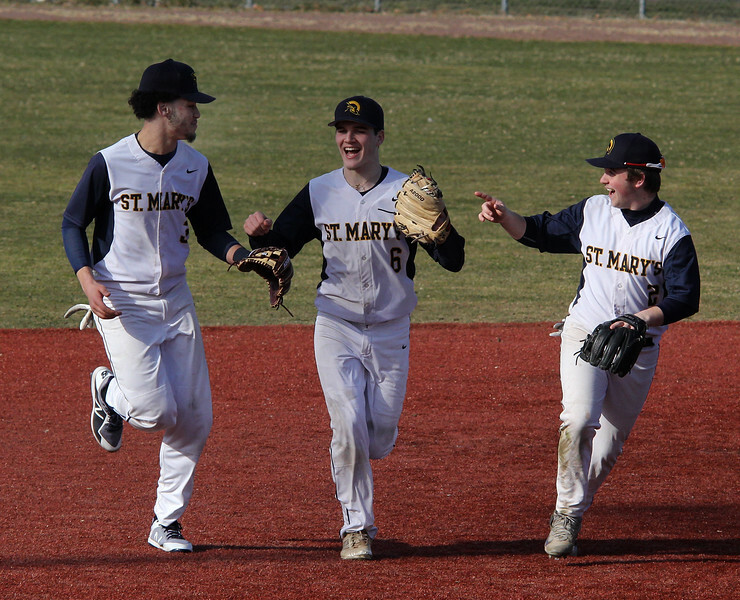 Lee Pacheco, Colin Reddy, Aiden Leyden at the end of an inning.